Best PCIe fan for SAS RAID controller? Discussion in 'Overclocking & Cooling' started by valorouswon, Jun 23, 2016. I'm looking for the best fan to cool my LSI adapter, it's ridiculously hot just idling, can only imagine when it's running. Should I be blowing air directly onto the heatsink? The heatsink lies face down, so the fan would have to be blowing upward, I have no idea where to go from there. 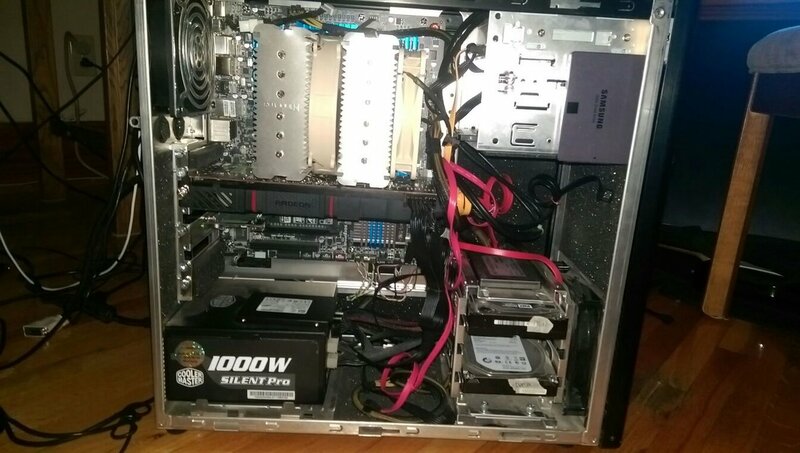 Also attached some pics of my case, my R290 is blocking airflow towards top left. That Vantex will be just fine. Install it, and be cooler. PliotronX and valorouswon like this. I have a 9420-8i which is very similar to that card... never had any issues with cooling even with the stock heatsink being right up against other cards in my box. Ok thanks for clearing that up, I was told by another I should also draw heat off it as well. Also read it's normal for these to run very hot, but I literally can't touch it for more than 3 seconds. This might be a stupid question, but I need the vantec blowing upwards since the heatsink is facing down in my case. Can this easily be adjusted to whichever direction? Naturally, I worry having to flip the entire piece upside down, and it not being able to be screwed in the pcie lane properly. The Vantec is configured to blow up into the card above it. 50mm x50mm with 50mm pin spacing. Shallow height. Even if you can't get the pins to line up, you can use a little thermal glue and just glue it direct to your chipset. They are 2-pin mini fan connectors, so you'll need to re-pin them to something that matches what you can use in your system. I haven't been able to find a normal 2-3pin fan connector version. Bonus points if anyone can find one that has at least 12" of power cable on the plug as well. I would even go as far as to buy two of these, then build a PCI bracket, problem is that even possible? The ioDrive is "hooked up" in every picture where it's in the pci-e slot, next to the sas card... The only pic where it's not attached is the obvious one where I test-fitted it. I don't have any pics with the fan on the iodrive in a slot yet. i am also looking for hba cooler. i found couple of 40x10mm fans. but when i install 10mm thick fan onto the chipset metallic block, i then cann't install hba-card in 1 pci-e slot. it takes 2 slots thickness. any options to fit 10mm thick fan so that it still takes 1 slot thickness? 3 yr old thread buddy. i would start a new thread and include pics of the issue your having. gl! there's a hp sas expander and 9240-4i under there. how hot is the chipset of 9240-4i in your situation? About 1/3 of what it was. There's no temperature sensors I can pick up afaik but it's not the burn your finger temperature it was before. and how did u mound the fan in your case? tie-wraps? 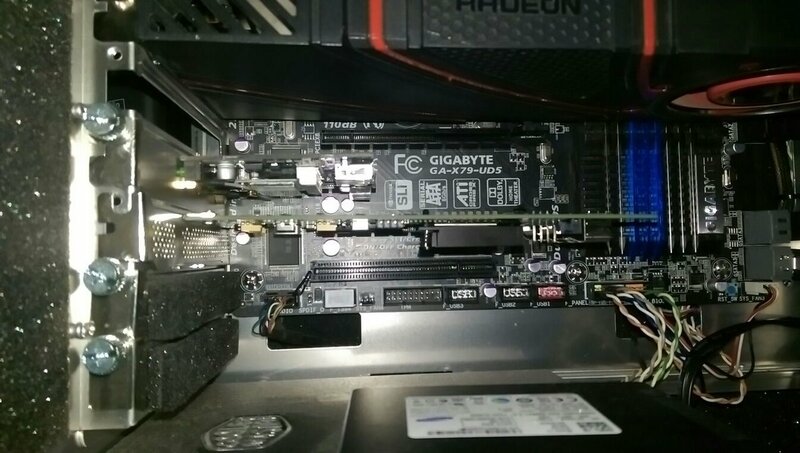 yes sir zip ties on the rear grille above or beside depending on orientation the PCI slots. I've always preferred side blowers if space permits. A 92mm at 1,500-2,000rpm would do well without adding much noise.